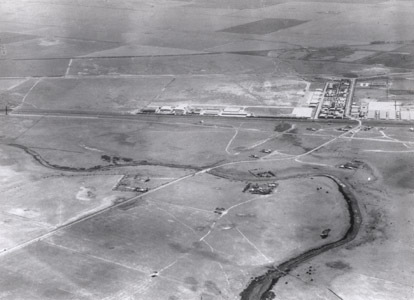 An aerial view of Werribee Park. 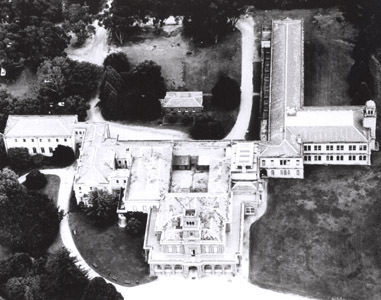 An aerial photograph of Werribee Mansion and surrounds. 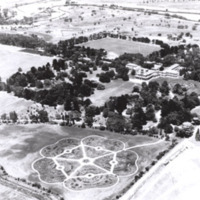 Aerial view of Werribee Park and Werribee Mansion. 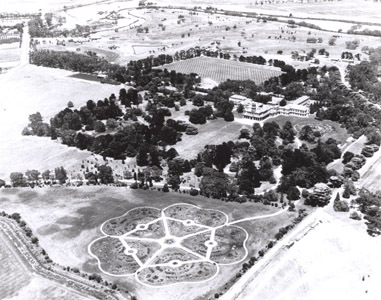 A black and white photograph showing Werribee Mansion and surrounding grounds. 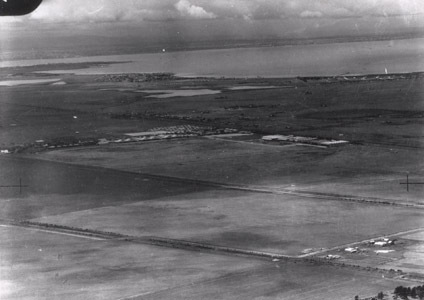 The Werribee River and golf course is in the background. 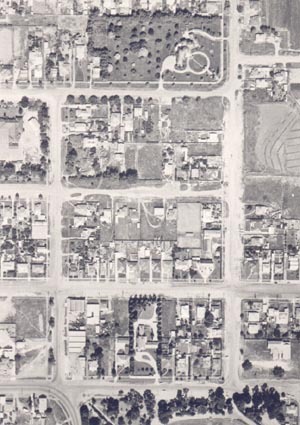 Aerial view streets: Deutgam Street, Greaves Street, Synnot Street, Synnot Street and Werribee Street, Werribee. 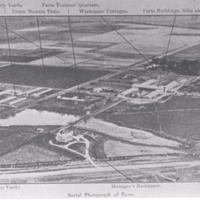 State Research Farm, aerial view. 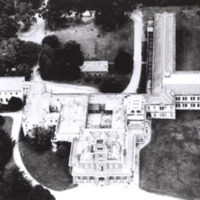 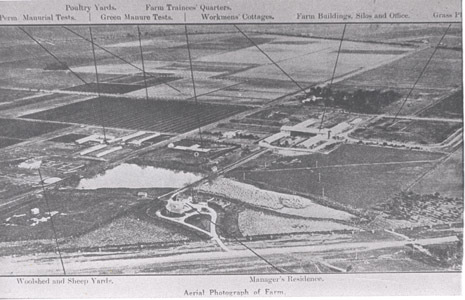 Annotated aerial photograph of the State Research Farm. 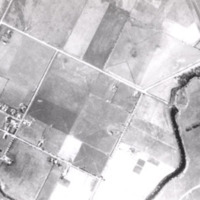 Aerial view of Laverton, Victoria. 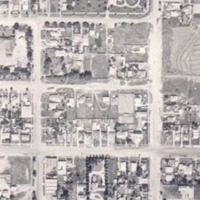 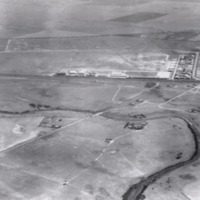 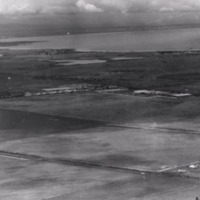 An aerial view of Laverton, Victoria taken 3 November 1941. 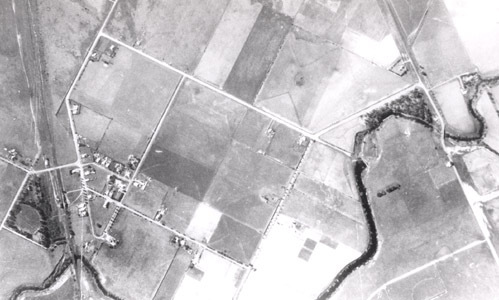 An aerial view of Laverton, Victoria taken 3 November 1941 . 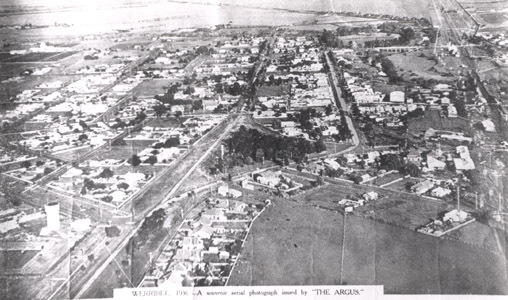 Original sepia toned photograph issued by The Argus. 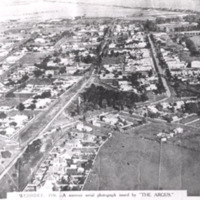 Aerial view of Little River. 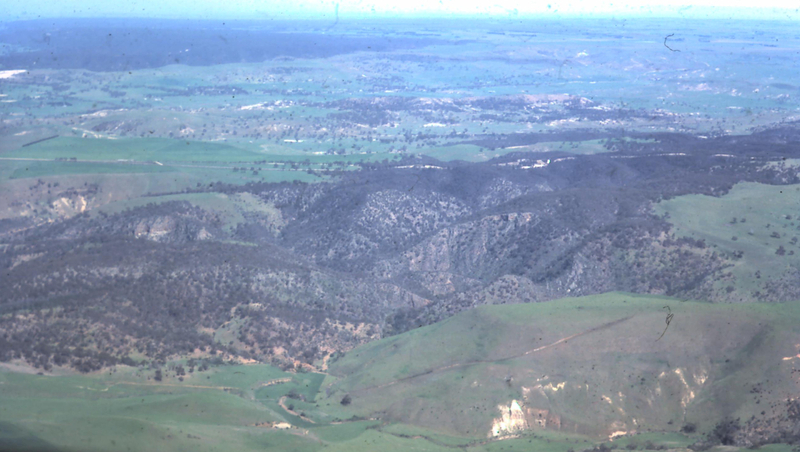 Aerial photography of Little River, Victoria. 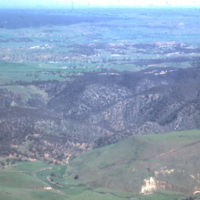 Aerial view of the Werribee Gorge shows tha many geological formations that this Gorge has.